Several recruiting analysts predict Washington will land 6-foot 9 forward from Rochester. N.Y. Other possible destinations include Duke, Michigan State, Syracuse and Kentucky. The Huskies will soon find out if they’ve landed coveted recruiting prospect Isaiah Stewart, who will announce his college choice on national television. The consensus 5-star big man is planning to say where he’s going to school on ESPN during halftime of the Oak Hill vs. IMG game scheduled to tip off at 4:30 p.m. Sunday. Duke, Michigan State, Syracuse and Kentucky are the other four schools in pursuit of Stewart, who is the top big man available in the 2019 recruiting class. Stewart is ranked as the No. 5 prospect in the country by ESPN, and the No. 6 prospect in the nation by 247Sports and Rivals. Several recruiting analysts predict Washington will land the 6-foot 9 forward from Rochester. N.Y., who plays for La Lumiere (Ind.). 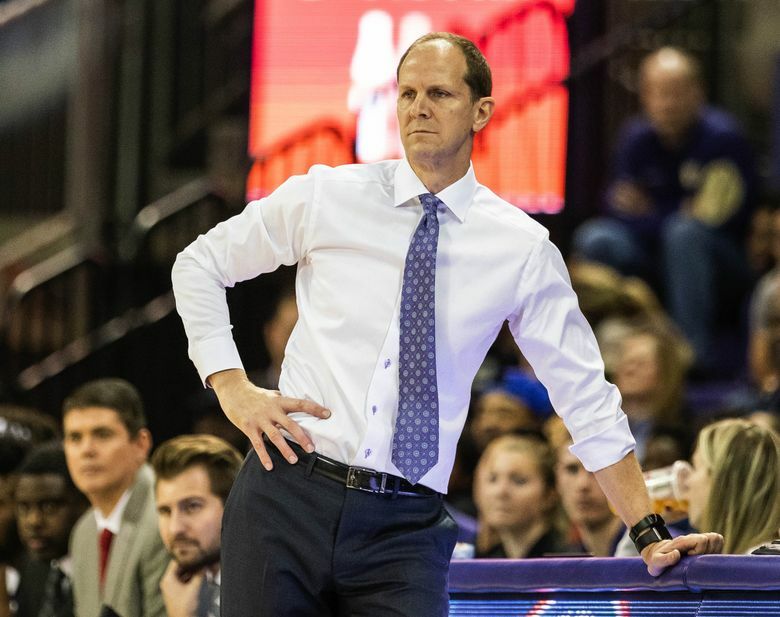 Stewart spoke glowingly of the final five schools on his list and said he has the longest relationship with UW’s Mike Hopkins, who began recruiting him years ago when Hopkins was a Syracuse assistant. “Coming up to see me since the ninth grade and him coming to my high school games, we have gotten real close and he is a guy that I can trust and he has given me his word,” Stewart said. “He wants to start his own legacy, and I feel him on that. 247Sports analysts Evan Daniels, Brian Snow and Jerry Meyer, Rivals.com analysts Eric Bossi, Dan McDonald and Evans are all among those predicting that Stewart will end up at Washington. If Stewart picks Washington, he would be the highest-rated prospect Hopkins has landed for the Huskies. The NCAA signing period begins April 17. Washington is also a possible destination for Federal Way star Jaden McDaniels, who reportedly is also considering San Diego State and Kentucky. The 6-foot-11 forward is rated No. 5 overall by ESPN and 247Sports. Last November, Washington signed 2019 prospects RaeQuan Battle and Marcus Tsohonis.